Quite often we are asked about soapy clothes or white residue appearing on clothes that is noticeable, especially on darks, after washing. While this is a very annoying problem, there are generally three main culprits to consider. With over three decades fo hard-earned experience maintaining and repairing home appliances, Paul’s Washer and Dryer Repair has come across this issue many times. This by far is the most common explanation for soapy clothes. If you are using a powdered laundry detergent, always put it in the washer first as the washer fills and then add the clothes. The same goes for liquid laundry detergent. If you have a washer with an automatic detergent dispenser, it may be clogged with lumps of detergent (even liquid lumps) that are not dissolving. To remedy this problem, heat some distilled white vinegar and pour it into the dispenser then run a wash cycle with no laundry to clear it out. If you own a High-Efficiency washing machine make sure you are using High Efficiency (HE soap). Not only will your clothes not get clean but on many models excessive soap can damage the water pump. On thing to always remember is to make sure to never pour laundry detergent or soap directly onto your clothes. Furthermore, if you have a dispenser, clean it as you would the detergent dispenser. Having too many articles of clothing in the wash inhibits the movement of water and the soap does not dissolve. 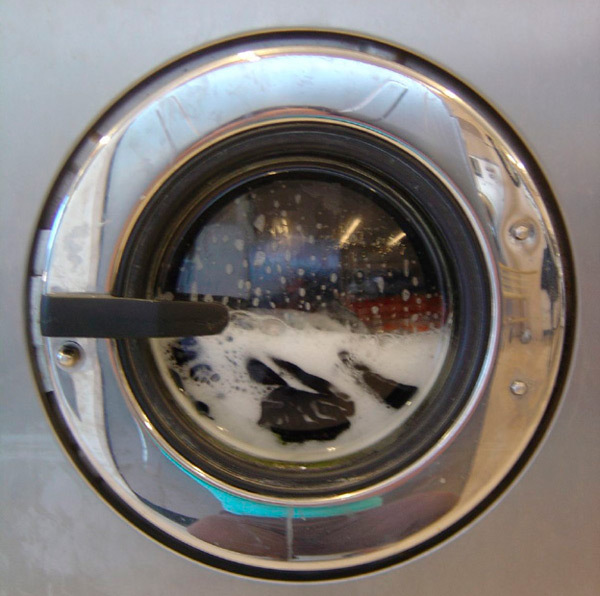 Paul’s Washer and Dryer Repair recommends following the manufactures directions carefully and using a 1 cup of white vinegar to clean out the machine of any residual build of soap. With no clothes in the machine, set the water temperature to hot and run the machine through the largest and longest wash cycle, in our experience the results are outstanding to eliminate soapy clothes. It should be noted that some brands such as Whirlpool, along with some other manufactures have created washing machine cleaners which, in our experience, have inconsistent results.